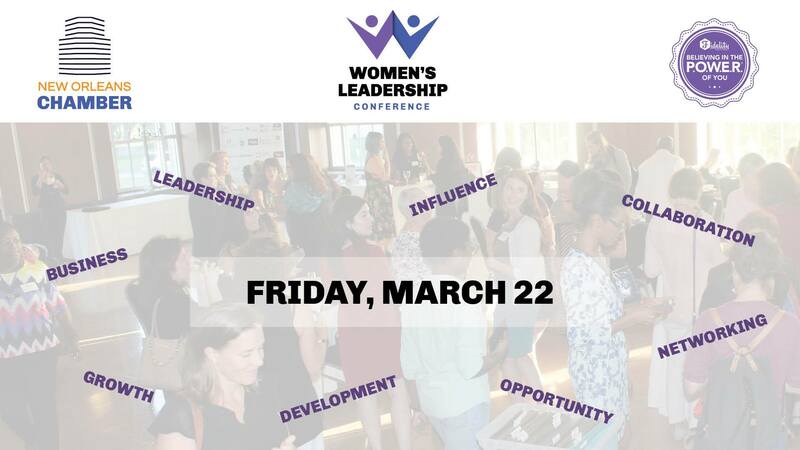 Join us for our inaugural Women's Leadership Conference at the Hyatt Regency New Orleans. This will be an all-day professional development conference with a keynote luncheon and multiple breakout sessions sponsored by our network partners. We are professional women supporting and mentoring one another. Noon - 1:30 PM Keynote Luncheon, sponsored by Fidelity Bank P.O.W.E.R. *Available for Chamber Members & Network Partner Members until January 18, 2019. **Discount Code required for all partners.